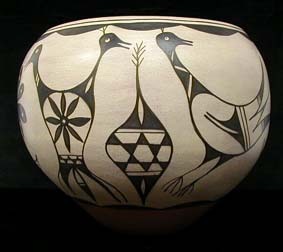 Chris Fragua was born in 1943 in Jemez abd was taught the art of using the clay to create playful works of art by his mother, Grace Fragua and his Grandmother Emilia. 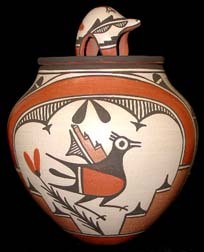 Chris gathers his clay from the grounds around the Pueblo of Jemez and constructs his art in the traditional way. When whether permits, he fires outdoors, but in a kiln during the winter. He concentrates on animal storytellers, such a cats, dogs, buffalo, and bears. 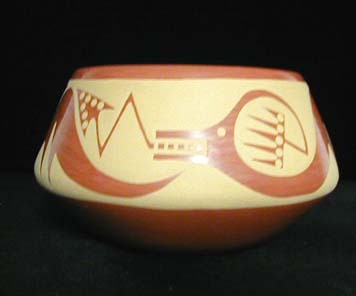 Chris' pottery has been distinguished with prestigious wards such as the one in the Heard Museum Show. 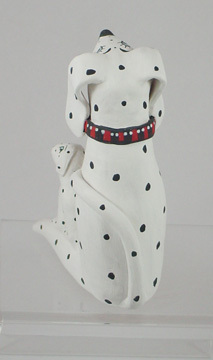 The present dog storyteller measures 6 inches tall, 5 inches long and 2 inches wide. 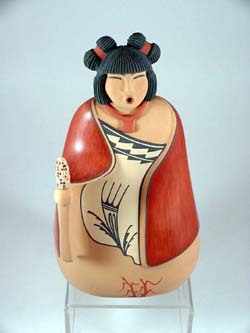 Chris Fragua specializes in animals and humorous figures, in the tradition of Jemez storytellers. 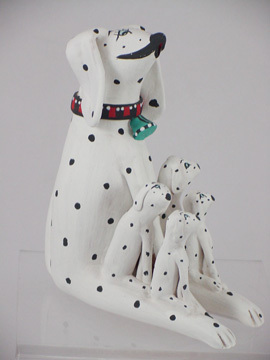 Dalmatian storyteller with pups, by Jemez artist Chris Fragua. Chris specializes in animals be it dogs, cats, buffalo or bears. He has a sense of humor and sensitivity for animals. 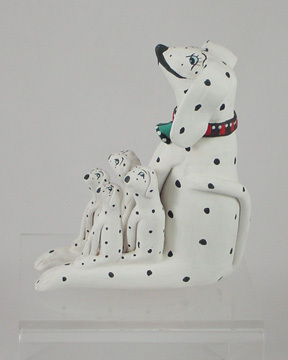 Wiener dog with pups, by Jemez potter Chris Fragua. Chris has a great sense of humor and a love of animals. 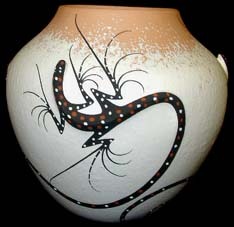 Chris Fragua was born in 1943 and has been making pottery since 1955. He specializes in Animal Storytellers, Koshari's, mudheads, Santa's and Nativities. 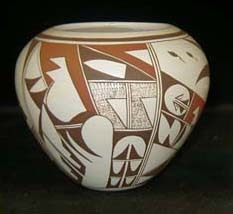 He digs his clay from the Jemez Reservation, uses natural slips and fires his pottery outdoors, (He uses a kiln in the winter time). 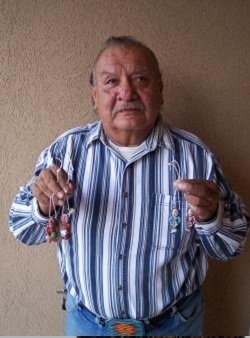 He was taught by his mother Grace Fragua and his Grandmother Emilia. All of his sisters are potters as well, Rose, Cindy, Bonnie, Emily & Carol. 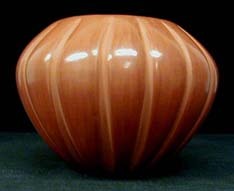 He comes from a very active family of potters. Chris is the oldest of all the children. 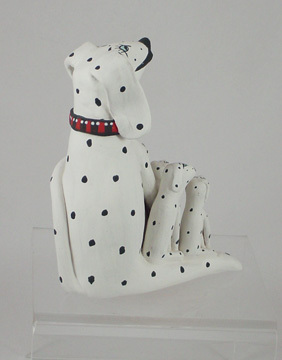 He has won awards at the Heard Museum Show.